I attended a training class this week where we were discussing what products you absolutely loved and were excited to share with the world. A few weeks ago, I attended a Reno Moms Blog party where we each brought a gift bag with our favorite things to share… This got me started thinking that it’d be fun to highlight some of my favorite things on this blog. 1. 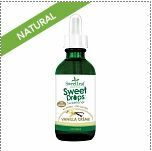 SweetLeaf Stevia: I got turned on to these flavored sweetener drops by a Registered Nurse a few years ago. They are a great way to kick the habit of artificial sweeteners. I have so many of these bottles at my office that a co-worker joked that it looks like I’m running an apothecary. I use these drops in my coffee, tea, carbonated water (soda and root beer flavor), yogurt and oatmeal. I highly recommend these flavors: Vanilla, Peppermint, Hazelnut, Coconut, Soda, Root Beer, Grape and Orange. 2. Amazing Grass Green SuperFood and Amazing Meal Mix: I use the Amazing Grass as a daily multi-vitamin, as it is a powder you add to water that is made of organic greens. My favorite flavors are Orange Deamsicle, Chocolate and Pomegranate. I like to start my morning off with a full glass of water with this powder. The Amazing Meal is my protein powder of choice, and is a collection of both greens and vegetable proteins. I make great smoothies in the mornings with the chocolate flavor, mixing it with celery, wheat grass, water and frozen berries. It even has probiotics! 3. My Kindle Paperwhite: I’ve gotten so that I prefer to read on my Kindle than read a regular book. This thing is awesome. The user interface is super easy, and I have all my books available at my fingertips. I read on it every night, and since it has a backlight, I can read in the dark as well without straining my eyes. I pick up a lot of free books from Book Bub. I get alerts daily, and download a lot of free children’s books and any adult books that sound interesting. It pushes me out of my normal comfort zone and lets me experience new authors. 4. 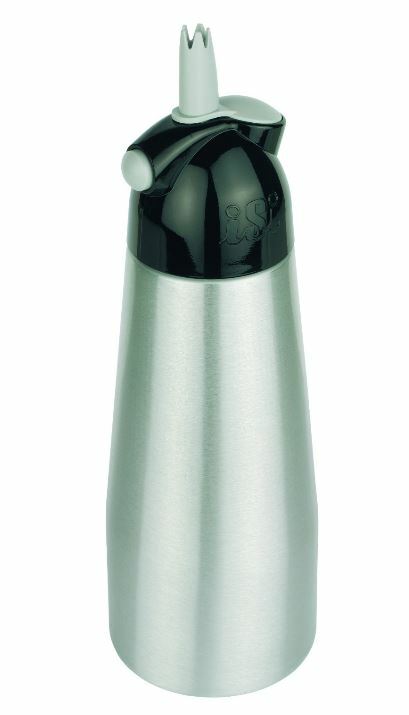 Isi Easy Whip: I bought this so that I can make my own whipped cream, and this thing is da bomb! I buy a carton of whipping cream from the store, and dump in about a cup of that, add some maple syrup and vanilla (or even the SweetLeaf Stevia vanilla drops), then use the Nitrous Oxide chargers to add air to it. We use this on our pancakes every weekend, and it’s also good for a sweet craving. My kids come running like Pavlov’s Dogs when they hear me squirting a shot of this into my mouth!